Being up close and personal with music’s biggest stars and having the opportunity to tour the world might seem incredibly fulfilling. However, for Jordan Wright, there’s more to life than this. As a content creator, Wright has created visual content for artists like the Chainsmokers, Justin Bieber and Jennifer Lopez. He’s even been lucky enough to travel the world while on tour with musical superstar Usher. And although he’s been blessed with the opportunity to rub shoulders with some of music’s elite, that was never his dream. It was simply something his passions led him to. While travelling the world and creating spectacular visual content for various artists, Wright soon found himself on a spiritual journey. Self-reflection has always been at the forefront in Wright’s life as he majored in film and psychology in a bid to better understand his own thoughts. His journey soon led him to meditation, which he believes is paramount for spiritual growth and personal development. Meditation requires us to focus on the present. Once this happens, we as humans realise that we are all nothing and that we are free to realise that we are also all everything. This realisation then allows for us to set out and discover what is truly fulfilling. Aside from the journey of self-discovery, meditation can provide a number of benefits. Firstly, it’s one of the best stress-handling techniques out there. It can also help to boost your health by increasing immune function, bettering breathing techniques, improving cognitive thinking skills as well as helping you to regulate one’s emotions. With so many benefits associated with meditation, it’s no wonder that Wright was so inspired that he set out to share this message with the world. With a new desire to help others and teach them about how easy it is to meditate, Wright came to the conclusion that a book would be the perfect medium to share this message with. 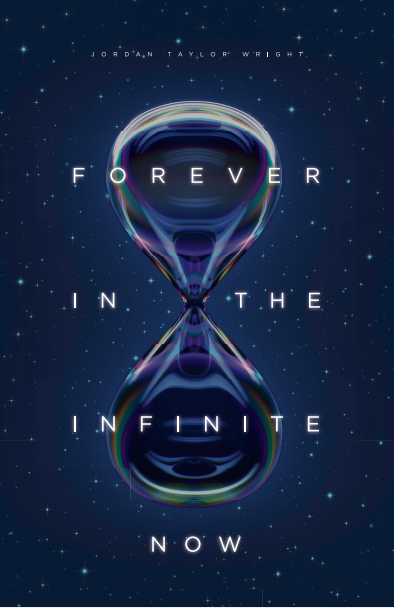 Forever in the Infinite Now is Jordan Wright’s first book that highlights his own experiences while helping and encouraging readers to meditate, helping to immerse them in the words, illustrations and their own mind. Accompanied by a soundtrack that’s meant to aid in the mediation process and custom illustrations, Forever in the Infinite Now serves to emphasise the need for us humans to lose ourselves in the world of meditation. As the title suggests, Wright hopes that the book will teach readers about the need to live in a place of meditation which can free us from external factors that can bring stress and worry, thus allowing us to properly embrace the infinite moment of now. The book is a precursor to his upcoming full-length film, Discovery of the Divine Consciousness, which is set to debut in late 2018 and focuses on similar themes. Click here to find out why Harvard Health says mindful meditation is so good for you. This is why your work environment is really important and how you can optimise it for better productivity.